Recently, the role of spirituality and religiosity as a protective factor in both physical and psychological health has gained much attention with emerging evidence of its importance. A comprehensive assessment which includes cultural and spiritual assessment best informs the case formulation and tailor made therapy. The presentation with explore various ways of conducting a spiritual assessment with special focus on the Muslim population and its impact on therapy outcomes. Presenter: Shehzi Yusaf is a clinical psychologist who has been working with clients from various cultural and religious backgrounds for over 25 years both in the public and private sector. She has a special interest in spirituality in clinical practice. She is the Convener of the Psychology from an Islamic Perspective Interest Group of the Australian Psychological Society. She has given training in Australia and Pakistan to psychologists in how to work with Muslim clients to acheive the best therapy outcomes. 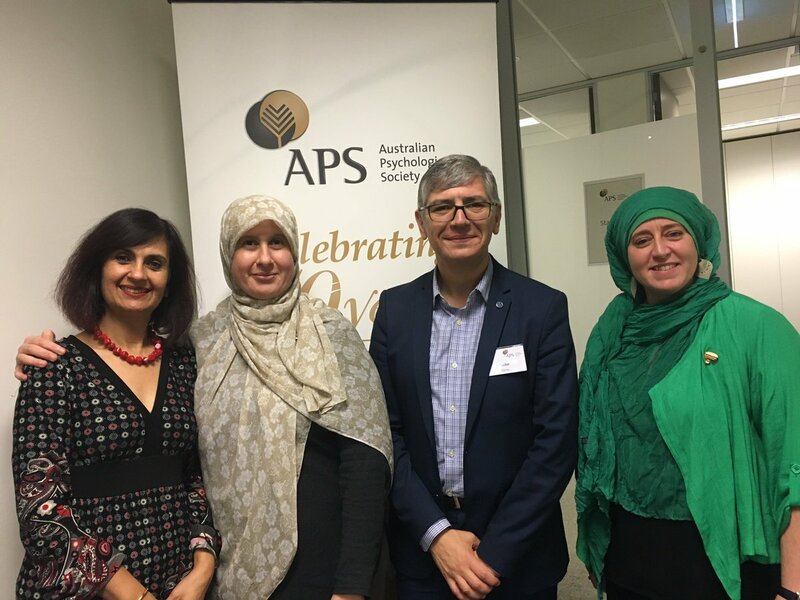 Title: "Exploring Muslim Community Emotional and Behavioural Concerns to Counter-Terrorism Polices, Radicalisation & Islamophobia"
APS Presidential Initiative's Social Cohesion Roundtable hosted by Mike Kyrios. Caring for the community and great discourse. Friday 20th May 2016. To provide a network for psychologists with an Interest in Islamic psychology. To provide a forum for discussion regarding the definition and nature of Islamic psychology. To liaise and maintain alliances with other Muslim professional and community groups. To promote and support theory and research relevant to understanding Muslim community groups in the context of their social systems and settings. 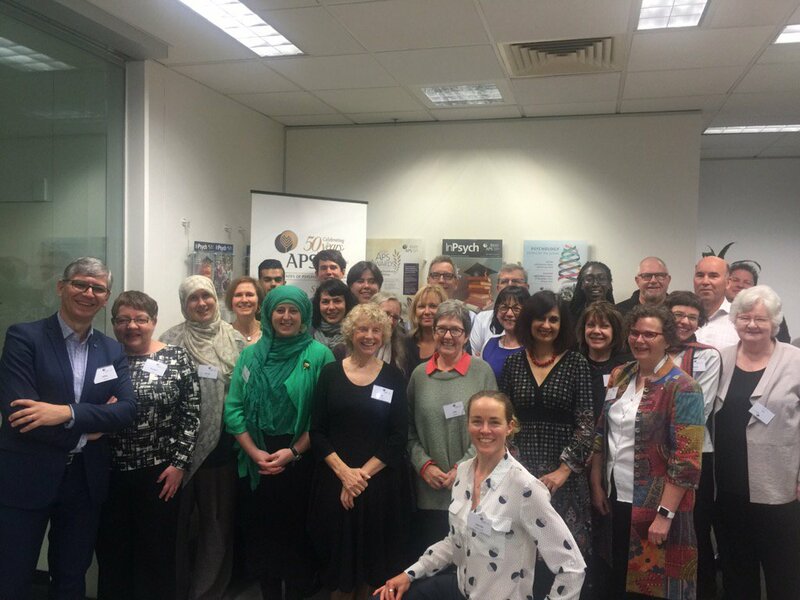 To promote and support theory and research towards the development of culturally sensitive psychometric tests and best practice interventions for the Muslim community. To promote the use of psychometrics and interventions relevant to the Muslim culture via educational and training programs. To provide relevant consultations about the Muslim culture to the APS and other bodies on issues relating to Islamic Psychology. To promote the field of psychology to members of the Muslim community. To promote the knowledge of Islamic psychology from its historical origins to the present. Keep visiting the PIPIG website for upcoming activities and professional development.